Rolling grilles – safety first! 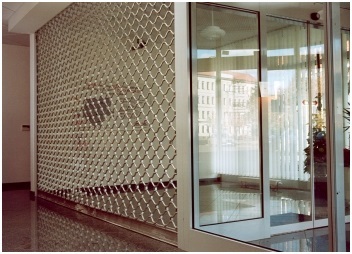 The grille is made of horizontally mounted galvanized tubes. The tubes are connected by means of vertical pins pressed from galvanized steel sheet. At the bottom there is a plate for mounting the latch locking system. 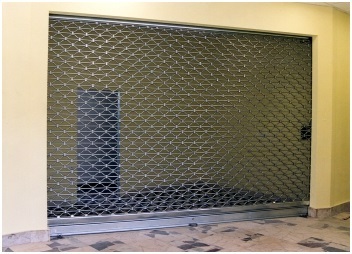 The grille is made of galvanized full profiles with a height of 115 mm and thickness of 0.8, 0.9, 1, and 1.2 mm. At the bottom there is a plate for mounting the latch locking system. 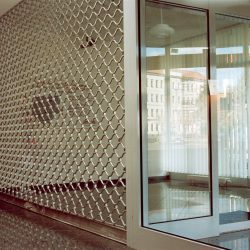 The grille is made of galvanized micro-perforated profiles with a height of 115 mm, thickness of 0.9 and 1 mm, and diameter of perforations of 3 mm. At the bottom there is cocoon plate with a locking system. 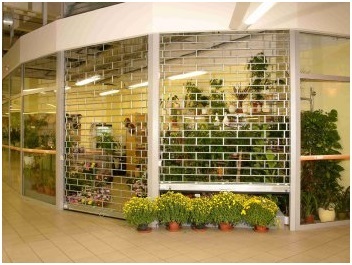 Rolling grilles are used to protect the entrances to shopping centres, individual boutique shops, as well as traditional outdoor shops. There is a choice of several designs suitable for both indoor and outdoor applications. Rolling grilles can be ordered with or without a drive and with a surface finish according to your wishes. We provide a warranty and post-warranty services for all delivered roller shutters. 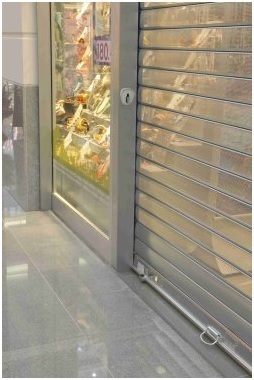 Roller shutters are designed for everyday use with a shutter speed of up to 15 cm/s. According to the roller shutter size, drives for either 230V or 400V or manual control are used. Roller shutters come with a natural galvanized finish as standard, however aluminium design can also be ordered. The surface finish can be selected according to the RAL colour chart, which offers a plethora of colours.